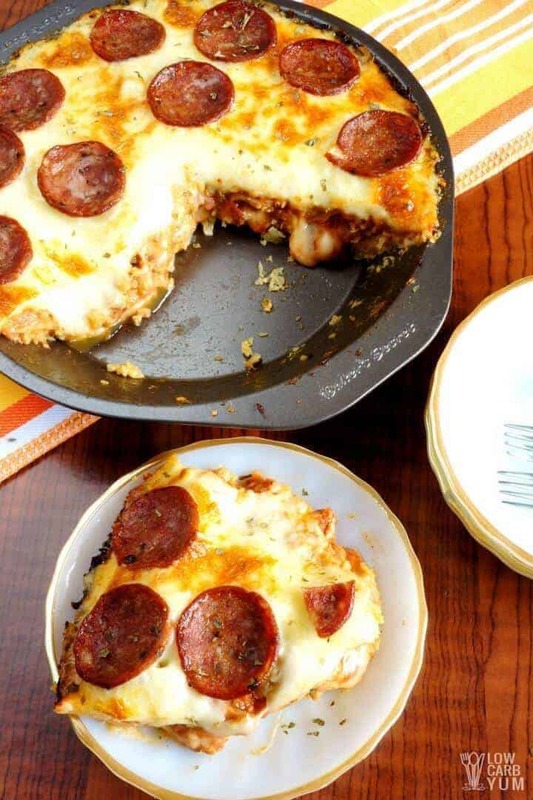 An easy to make meat lovers low carb pizza made in a deep dish pan. This cauliflower crust pizza is gluten free and perfect for a keto diet. I’m always trying to sneak vegetables into my kids favorite foods. Since they love pizza, it’s easy to hide a few veggies into it. Sometimes, I’ll puree a few cooked carrots into the homemade sugar free pizza pizza sauce. My kids love carrots, but I don’t eat too much of them due to the higher sugar content. Another great way to get the kids to eat veggies is to use a cauliflower crust in a deep dish pan low carb pizza. It’s such a small layer that the kids don’t even know it’s vegetable based. The pizza is made similar to a pot pie. I like to use a regular 9-inch pie pan and layer the dish like a casserole. The cauliflower mix is pressed onto the bottom and the top. 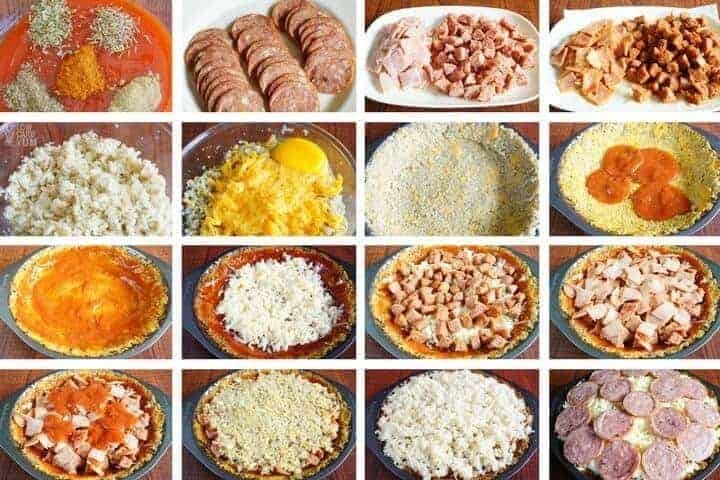 Between the crusts are layers of sauce, cheese, and meat. I like to top things off with a layer of mozzarella and pepperoni. But, you could use change up the meats and add in more vegetables. 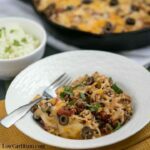 Just like any low carb pizza, it’s easy to customize this deep dish pan version to suit your own tastes. Spinach, mushroom, peppers, and onions are all great options. 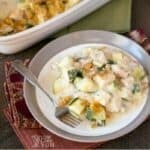 I’ve been avoiding dairy so I’ll use dairy-free cheese when making the recipe for myself. I found a couple great recipes for alternative cheese in the Latin American Paleo Cooking book that I’ve been experimenting with. And, when I make the pizza for myself, I use a smaller 6-inch mini pie plate. 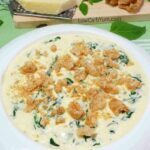 It’s enough for 3-4 servings which is perfect when cooking for only one or two people. 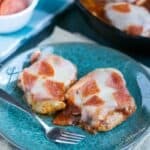 It’s good to have several low carb pizza recipes handy since it’s such a family favorite. Some of the other ones my kids like to eat are the pizza casserole and the fat head dough thick crust. The blend of gooey cheese with tomato sauce and pepperoni is always a winning combination with my family. And, it’s something that’s super easy to put together for dinner. Personally, I prefer vegetables with my pizza. That’s why I love that the crust in this deep dish pan low carb pizza contains healthy cauliflower. I do like the meaty pizzas, but I usually add in some broccoli and spinach for myself. My family doesn’t care fro the added greens so I leave it out for them. One of the things I haven’t tried yet is a breakfast pizza. It’s similar to the pizza omelette you’ll find over at Step Away from the Carbs. The one thing I’ll miss most going dairy free is the cheese. But, I’m hoping to find some good alternatives. And, if I don’t have any issue with goat or sheep milk, I’ll try cheese made with those. But, it’s recommended in The Thyroid ConnectionThe Thyroid Connection book by Dr. Amy Myers to eliminate dairy for good. Also, a lot of people with autoimmune thyroid disorders like my Graves’ disease have done much better on a paleo diet. 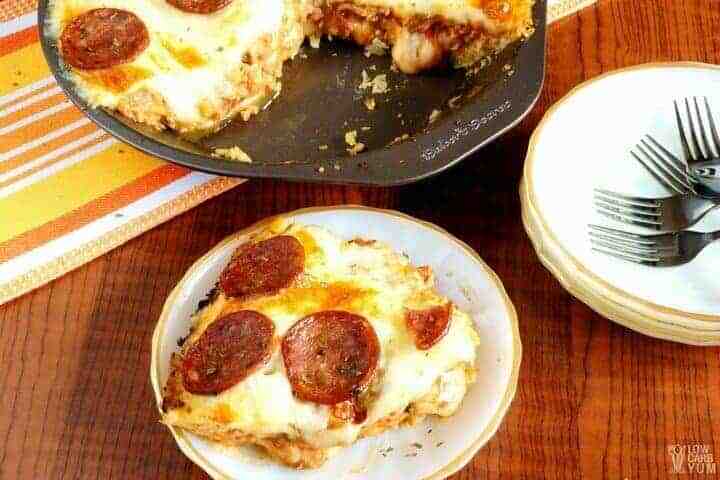 I’m sure you’ll love this yummy meat filled pizza pie. If you do give it a try, I’d love to hear what you think in the comments. 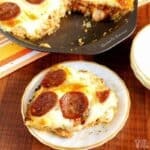 An easy to make meat lovers deep dish pizza made. This cauliflower crust pizza is gluten free and perfect for a keto diet. Combine pizza sauce ingredients - Homemade Sugar Free Pizza Sauce, sage, oregano, cayenne, thyme and tarragon. Set aside. Squeeze riced cauliflower for excess water. Mix riced cauliflower with onion powder, garlic powder, sage, oregano, thyme, cayenne, mustard, cheddar, egg and black pepper. 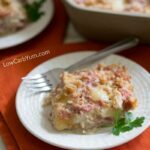 In a slightly greased pie pan, fill pan with cauliflower mixture and press lightly – like making a pie crust. Bake in a preheated oven of 400°F for 8 to 10 minutes. Reserve ½ to ¾ cup of cauliflower mixture. 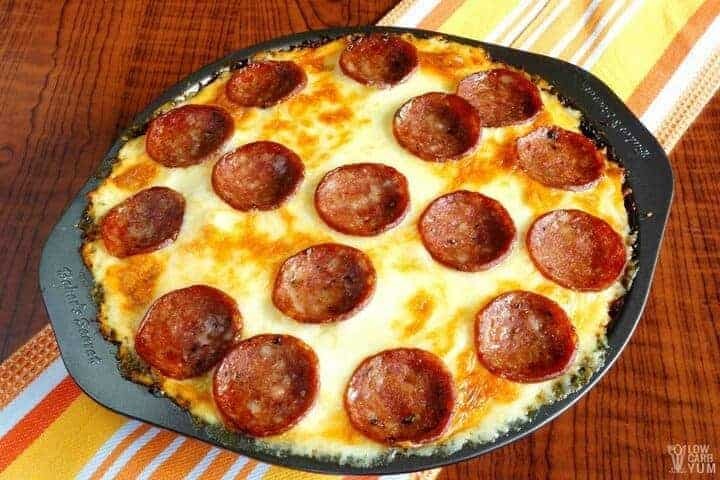 In a greased skillet, cook sausages and ham for 1 to 2 minutes. Drain oil in paper towel and set aside. 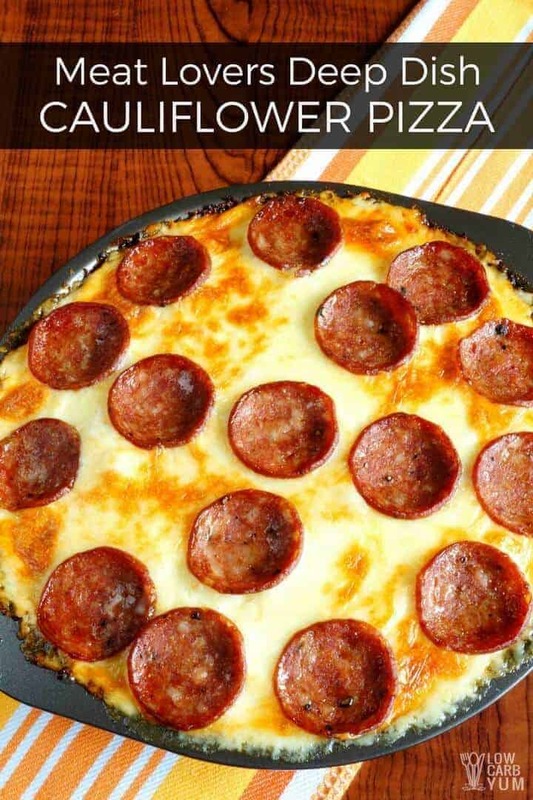 Spread Homemade Sugar Free Pizza Sauce to cauliflower crust, sprinkle ¾ cup mozzarella cheese, add sausages and ham. Spread the remaining pizza sauce. Top with the remaining cauliflower mixture and entirely cover with the rest of mozzarella cheese. Then add pepperoni slices. Bake at 400°F for 15 to 20 minutes or until cheese has melted and slightly golden. Serve immediately. Hello Lisa. 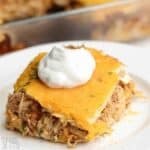 I think this recipe looks really good. However I do not use a scale. 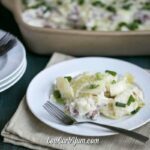 Could you add to the recipe the meat in ounces and the cauliflower in cups (for those of us who want to use frozen riced cauliflower). Thanks! Sorry about that. 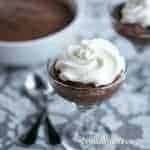 I changed the recipe to ounces as the link for metric should give grams for the meat. HI! I’m wondering if you can freeze this in individual slices? If so , could you heat it up on the microwave? Thank you! I don’t see why it wouldn’t be okay to freeze for later and reheat in the microwave. What food processor are you using? I have a 14 cup Cuisinart Food Processor. It can as you’ll cook it first. This sounds delicious but the amount of cauliflower (625 g x 2 heads of cauliflower) seems like an awful lot. That is 2.75 lbs of cauliflower. Maybe I’m reading it wrong? 2 small heads of cauliflower were used. You can use less if desired. I am assuming the cauliflower is cooked? Could you confirm? I don’t cook the cauliflower because it cooks in the crust. How many servings are in one pizza? Thanks! Fixed the recipe card. It’s 8 slices.